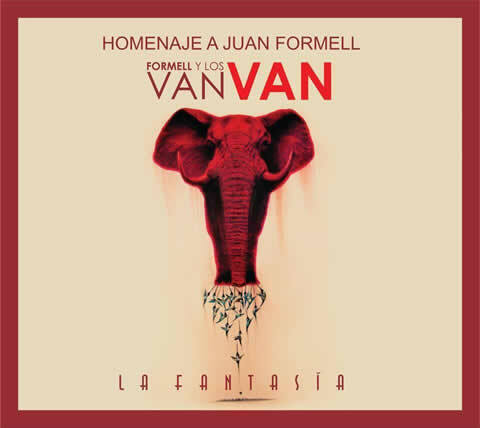 When Juan Formell passed away last year, there was a lot of speculation worldwide about whether Los Van Van would continue to be the musical force that it had been for decades. La Fantasia answers this question with a resounding "Yes"! As I listen to it, I find myself remembering that one of the most powerful and moving jam sessions that I ever attended was a wake in Chicago for a different (and less famous) bassist who had been a beloved mentor to many other musicians. Perhaps a similar depth of emotion helped motivate this project. This recording also carries the title Homenaje a Juan Formell, and in many ways the legacy of Juan is unmistakable: Samuel has stated publicly (in the website Cuba Sí for example) that Juan had already chosen the tracks while he was still alive, five of the compositions and one of the arrangements are Juan's, and Juan's voice is the lead vocal in La Fantasia, a song originally written for possible use by Luna Manzanares. 1. Juan Carlos Formell has joined the band as its bass and has contributed one of the songs, Bótalo y Guárdalo. This song represents a stylistic change from the past several years of his career, and it will be interesting to see if he has some more of these to share. 2. When you take a close look at the composers and arrangers, this was a very participatory project, and that and gives one reason for optimism about the group's musical future in the studio with new compositions and arrangements. 3. This is the second album in sequence for EGREM after the band worked with other studios for many years. Artistically speaking, we can consider this a success for both EGREM and Los Van Van. It is to be hoped that EGREM will be able to use recordings like this one to expand its presence in the global marketplace. This was released as a limited edition, and it may not be easy to find in stores yet. I would like to suggest to the public that even if you are able to obtain this through the various methods by which so much file sharing takes place today, you should purchase this once you are able to do so. In the years to come, the future success and stability of the recording industry in Cuba will depend in part on its ability to sell (NOT share) its recordings to the rest of the world, and recordings like this one deserve our full support. Vocals & Coros Yenisel Valdés "Yeni", Armando Cantero "Mandy", Roberto Hernández "Robertón", Abdel Rasalps "Lele"